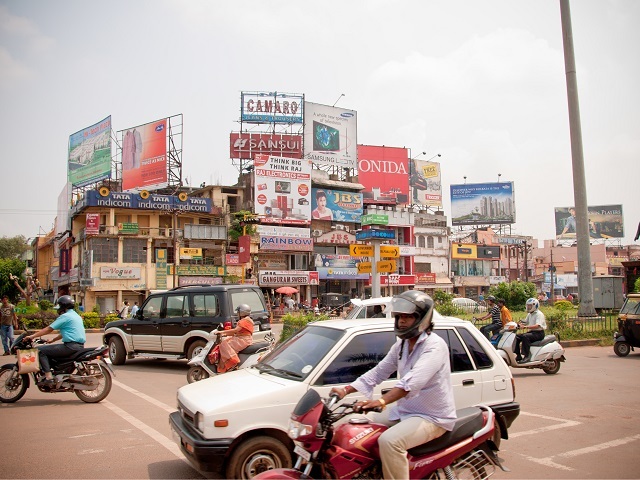 The city of Bhubaneswar, India scored the highest position in the country’s Smart Cities Initiative, with a 78.83 percent evaluation. The city will be competing with other across India to improve quality of life. Photo by Damien Roué/Flickr. In the last 15 years of my professional career, many concepts around urban development have come and gone, but none have evoked such an excitement as the Narendra Modi government’s proposed 100 Smart Cities initiative, that has a price tag of Rs 1,00,000 crore over the next five years. This excitement isn’t only restricted to India. Experts are discussing it globally, and many have sharp and contrasting views on the subject. Global experts, like Catherine Morency, Professor at ÉcolePolytechnique de Montréal, have noted that “smart cities are not sustainable per se. There is a need to advance social, environmental and economic asp-ects as part of the smart city concept and to provide citizens with the tools to make this happen”. Gil Peñalosa, former Commissioner of Bogota and a thought leader on urban sustainability, further reinforces this point, saying that smart cities aren’t just about technical solutions – they’re about serving people. Prime Minister Narendra Modi, at the launch of the Smart Cities program, defined a smart city as one that provides for the needs of its citizens. This is a simple yet revolutionary way of looking at smart cities. On the one hand, it looks at the obvious issues around infrastructure of cities, and on the other, it links the issues around governance, service delivery, citizens’ aspirations, and quality of life. Smart Cities isn’t the first initiative aimed at addressing urban issues. The UPA-I regime launched the Jawaharlal Nehru Urban Renewal Programme (JNNURM), which was the first major program of its kind, where over $20 billion was earmarked for urban infrastructure improvements and basic services to the urban poor in 65 mission cities over the course of seven years. The JNNURM received mixed reviews from experts as it was felt that the program didn’t match up to the desired level. There were various issues, such as the quality of project planning, funding processes, lack of capacity, and others. While the program left a lot to be desired, what it did well was bring cities to the forefront of planning and development through the central government, for urban development is usually a state subject [in India]. The Smart Cities program is, in many ways, a completely different approach compared to other schemes of the Centre. All other program, including the JNNURM, were based on the principal of allocation, wherein states were allocated money as per proposals submitted within stipulated guidelines. The Smart Cities programme, on the other hand, is based on the principal of competition. Cities are competing against each other to access funds and, to some extent, for prestige, given the hype around the scheme. When Minister of Urban Development M Venkaiah Naidu announced the first list of 20 shortlisted cities on January 28, it marked the end of the first phase of competition, wherein 20 out of the 97 cities that submitted proposals were selected as the winners. While Bengaluru, Gurgaon and Patna were surprise omissions from the Smart Cities race, as the respective state governments deemed other cities more competitive for the national challenge, the 20 shortlisted cities also have quite a few surprises. The biggest surprise was the fact that Bhubaneswar topped the challenge with 78.83 percent marks followed by Pune (77.42 percent) and Jaipur (73.83 percent). In fact, the top 20 cities list was dominated by tier II and III cities, with only Delhi and Chennai representing the metros of the country. Lesser known names like Davanagere, Kakinada, Belagavi outweighed many big cities like Howrah and Hyderabad, who failed to make it to the top 20. Ludhiana is the only city from the northern and eastern belt of the country. Guwahati is the only city from the north-eastern states, suggesting it was much better prepared than its peers. As part of the competition, the cities had to submit area and city-wide development projects aimed at improving the quality of life for citizens by engaging with them and addressing their needs, and building capacity among city officials by moving towards e-governance and the use of technology. Cities were asked to develop holistic city development plans with a vision for zero emissions and zero waste, and funding would be provided to pursue strategic infrastructure projects. Priority sectors were identified, with Rs 100 crore of financial assistance from the Centre for five years and a matching contribution from state governments. Cities were asked to submit proposals that would not merely change, but transform them. The Rs 100 crore should be seen as initial capital that can be leveraged for this transformation. India is currently one-third urban. Global trends have shown that urbanization stabilizes at 75-80 percent mark. This means two-third of urban India is yet to be built, which gives us the opportunity to get it right. Choosing the right implementation framework for smart cities is critical. Creating the framework from cities to compete is a great idea but the real success would depend of the implementation. Nevertheless, a good start has been made. This article was originally published in the Deccan Herald on February 01, 2016.